Even though we’re quite familiar with Alcatel’s line of mobile phones, most consumers are still widely in the dark regarding the actual existence of the company – more so when they’ve yet to deliver a compelling phone worthy enough to compete with the big names in the industry. Everyone is vying for that piece of the pie, and Alcatel wants to ensure that it’ll have some sort of presence amidst the fierce competition. 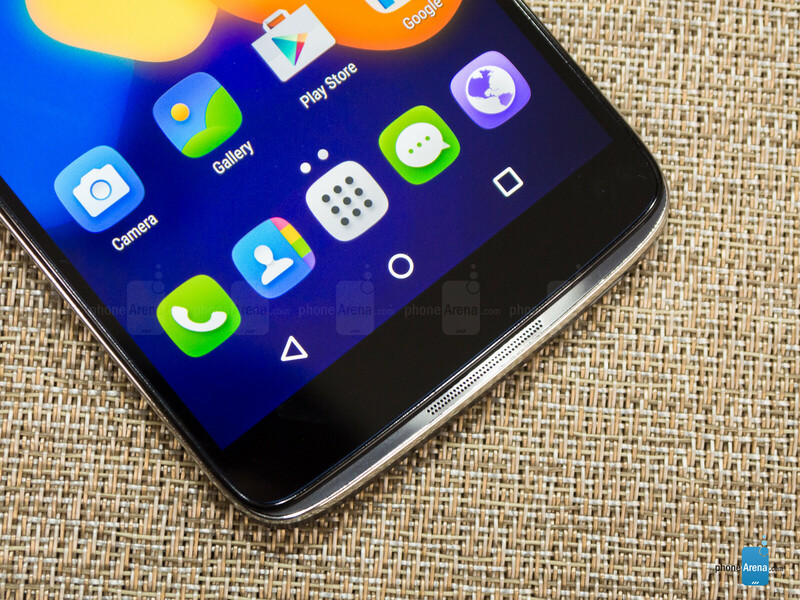 During Mobile World Congress 2015, which was held just a little close to a couple months ago, we were pleasantly delighted by what the pre-production model of the Alcatel OneTouch Idol 3 had to offer; the company’s first global flagship phone. Now that it’s in final form, we’re itching to find out what this $250 outright-priced smartphone can bring to the table. Seriously, this is quality stuff from a budget phone. It’s simple, lightweight, and incredibly thin! 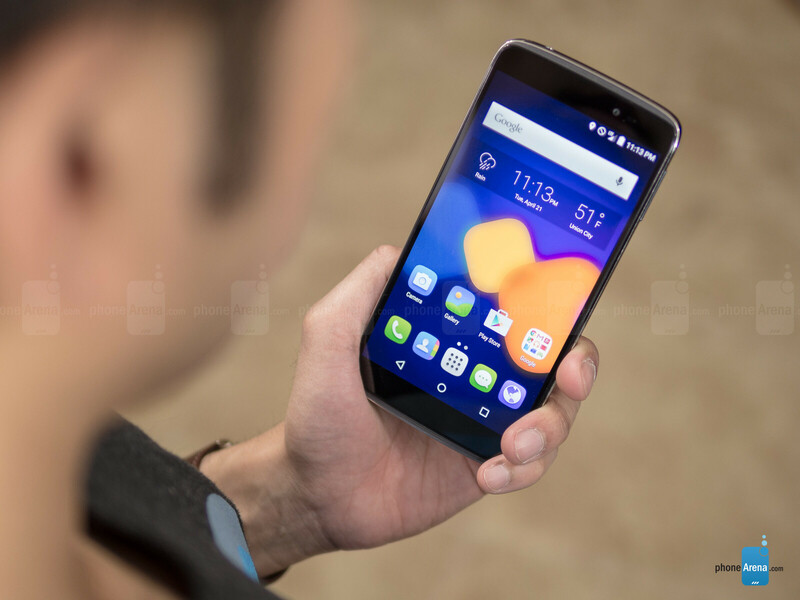 While it’s not flaunting the premium aesthetics we find in some high-end smartphones, the Alcatel OneTouch Idol 3 surely has several appealing qualities for something budget-oriented. For one, it’s incredibly skinny and lightweight for something packing a 5.5-inch sized screen. Secondly, the dark gray colored matte plastic rear casing bears a hair line brushed effect to mimic the look of something metal – while the chrome accents outlining the phone complement its charming looks. All told, it’s a simple design that works. In looking around the sides of the handset, it features your typical set of ports and buttons – such as a microUSB port, microphone, microSIM slot, 3.5mm headphone jack, noise-cancelling mic, volume controls, and power button. With the latter, it’s positioned towards the upper left corner of the phone, which makes for an awkward placement for something so wide and tall. A special treat, since it’s an ideal implementation, the Alcatel OneTouch Idol 3 is graced with dual front-facing JBL speakers. Hands down, this is one of the most astounding displays in a budget-priced phone we’ve come across; plenty of solid qualities. Out of everything, the most surprising part about the phone is its display – a 5.5-inch 1080 x 1920 Technicolor Color Enhance Display. Essentially, it’s an IPS-based panel with OGS (One Glass System) full lamination. No doubt, it’s sharp and highly detailed, but we’re equally impressed by its superb brightness and reasonable color reproduction. Specs aren't everything. Apple products are generally optimized better than any other device. But, don't get me wrong i still feel that Apple does overcharge and their bank statement proves it. Proud owner of a Galaxy s6 edge before the flame war begins. Oh boy, get ready for angry PA trolls. Apple can build there own OS around their own specific hardware/phone so of course it's gonna be some what more optimized or at least a lot easier to optimize things. But iOS is more unstable than Android, it can crashes a lot. But i think Windows phone are even more efficient. the iphone 6 is a beast when it comes gpu power and the cpu isnt slow at all but they could have done better. also apple optimizes the iphone really well. 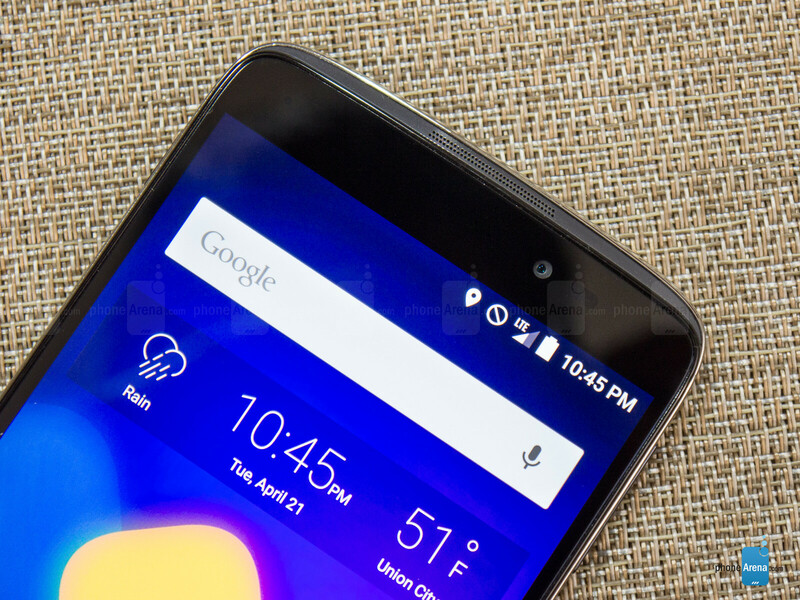 it definitely doesn't have weaker specs than the alcatel idol 3. Wow... I really wish this phone was sold in stores in the US.. thats really the only way it will get some traction. 8.5? Really PA? While the HTC Desire Eye only got 8?? Who the f**k makes these ratings??? This is better than the Desire Eye if you factor in the price point. Zenfone 2 much better. Can handle multiple games only $50 more. This phone has dual stereo speakers, much better screen and pretty much leaves the zenfone 2 in dust when it comes to battery life. Oh, did I forget the way better camera and stock UI on this. Zenfone 2 camera performance is already on par with Desire Eye with latest update, and battery life is now just over a day. Knowing Asus (PC component side), they will release updates that will improve performance and functionality over the time. I may sound biased because I ordered one, but I personally think it's a wonderful package for the price Asus is asking. I do agree that display on Idol 3 blows most flagship, but 2GB RAM doesn't cut it anymore. Both are great budget phones, and one is better than the other in some ways, not every way. You just have to pick what suits you best. I would be fine with even a 700$ flagship with 2GB RAM. I don't know why people care about RAM. I don't see any difference between a phone with 2GB or 3GB RAM. 4 GB is absolutely absurd gimmick. And anyway, the 4GB RAM on the zenfone is LPDDR3. I would take a 2GB LPDDR4 RAM over a 4 GB LPDDR3 any day of the week. P.S. I don't close any apps and my phone with 2GB RAM works extremely fine. About the updates, I don't know but unless I see testss proving that, I won't believe. I'm not a believer of a 1-day or 2 day battery life as one's day is not the same as other person's. For me, an Xperia Z3 will be a 1-day battery phone despite Sony's claim otherwise. I'm aware that 4GB in Zenfone 2 is LPDDR3. It's not going to transfer data as fast as LPDDR4, but there shouldn't be a problem trying to run a few games and apps at the same time. I have Nexus 5, SD800 2GB, and it struggles to run a few apps at the same time. 4GB isn't gimmicky, it's futureproof. You don't have to utilize it, but if you do need 4GB it's there. My dad had Z3, and I used his phone for a few occasions, I think battery life is outstanding. If you can drain a Z3 battery less than a full day, you probably need to carry charger around or get a phone with removable battery. All I'm saying is Z3 battery is stellar, if you can drain Z3 battery down to 20% in a day, you will have issue with conserving other phone's battery. You should either get a phone with removable battery or carry charger around. I clean app on background every now and then within the day. Though if I have to open several apps at the same time for a short period of time like 15-30mins. 4GB is handy. I'm not saying I disregard a phone with 2GB. I can definitely live with 2GB phone, it's just different from how I live with 4GB phone. Yeah Stock Lollipop 5.1 has some serious memory leak, as well as battery drain issue. They say the fix is coming, but it's been 2 months. I need something reliable, I can't just wait for the fix indefinitely. I'll still keep my Nexus 5 as a back up. Don't Sham it guys, these ratings are really well-deserved. 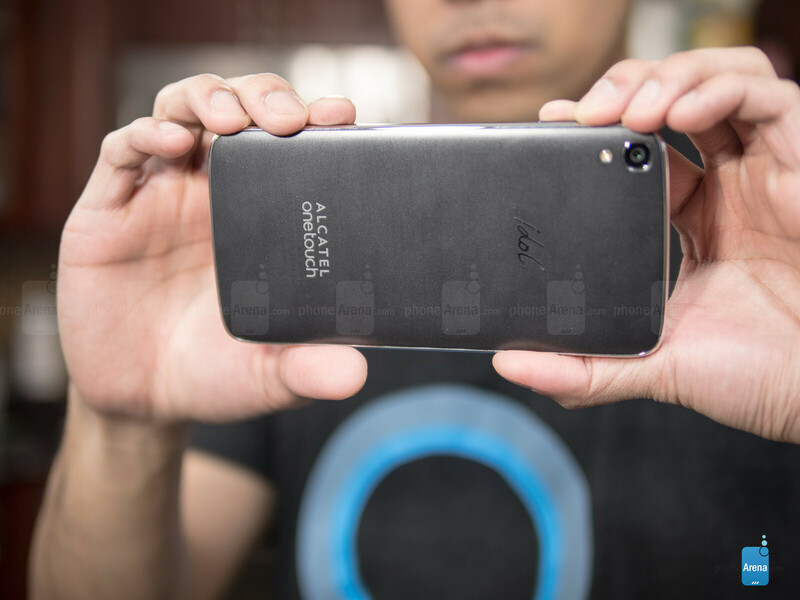 It's one of the best Budget phones you can get for $250 bucks (which is crazy low!) And packs a ton of features which makes it a very good buy. Using Calls with either side of the device ftw! Good review, hope you guys review the Zenphone 2 as well, so we can see which of the 2 are best overall. I had the zenphone, if speaker volume and screen brightness are at all important the Alcatel wins easily. I'm in the market for a new midrange phablet, and I've dwindled it down to the Zenphone 2 and the Idol 3. After all is said and done, which one should I buy? This purchase won't be subsidized by my carrier so I'll pay full retail on it. I will primarily use it as a tablet replacement, though I will still use my Tablet for gaming. So, is this the one or should I pay more for the top end Zenphone 2? Think I will buy this for my mum or brother.. very good phone along with alcatel smartwatches Ideal hardware ! can anyone confirm it has nfc tap to pay with google wallet To see if you can tap and pay with your Android device, follow these steps: Go to your phone's Settings. Touch More settings. Make sure NFC is turned On. Go back to Settings. . Check for a "Tap and Pay" option in the menu. If you can see the "Tap and Pay" option in the menu, you can Tap and Pay with your device. one thing that could have made this phone better is if the power button and volume rockers were centered on the sides, then this phone could have been ambidextrous being able to use it either way. Why centered? You can reach easily with your left hand for the power button and right hand for volume. When are the 4.7 inch phones available for purchase? I would like to buy them for my parents. Alcatel idol3 does not permit to switch Wi-Fi ON in airplane mode, therefore you will not be able to access to any entertainment in flights which offer it like movies, magazines,etc. This functionality is also useful when you want to use wi-fi without being disturbed with incoming calls. Do not buy this phone without a case. I it and had it for about a month, when it cracked in my pocket. Eh, just a small crack, not too bad? Well it happened to also break the digitizer, so no touch screen for me. I bought a $80 replacement, and it literally broke four days later. Never had this problem before, the glass is so low quality. Either that or its cursed.